People usually catch coconut mouse for food as they are the animal which usually damages coconut tree. Curry, steamed rats and grilled rats are some dishes that mouse is cooked into and steamed coconut rats in the rice cooker are the real star of the list. The more you enjoy, the more you fall in love with this stunning dish. 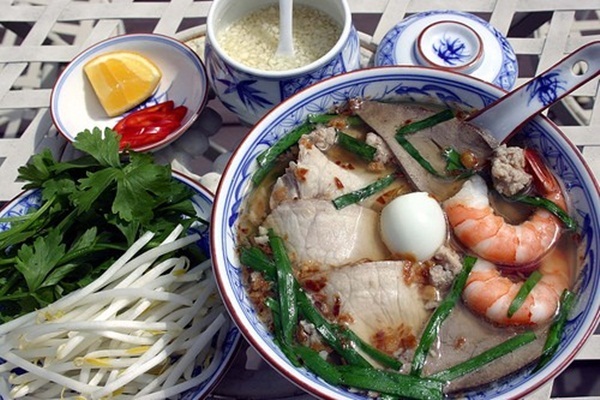 Made from rice flour and soup cooked carefully with duck meat and can be eaten with ginger fish sauce, this noodle dish is a truly specialty of the western area of Vietnam. People use rice flour, molded according to each person’s own recipe and then sliced into pieces is the reason why it is named “sliced flour” noodle. 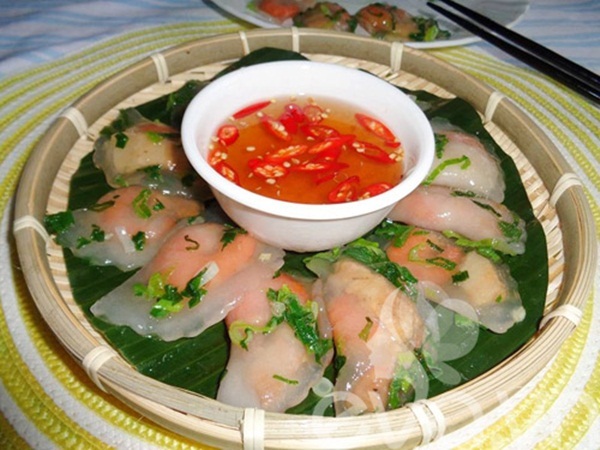 Sold at many food stalls, bot loc cake which is made from rice flour, filling with roasted pork or shrimp and then steamed, is mostly eaten as a light meal. Thanks to the great combination of shrimp and pork, the cake is chewy with a unique taste. Fresh herbs and sweet sour fish sauce are usually served with bot Loc Cake. 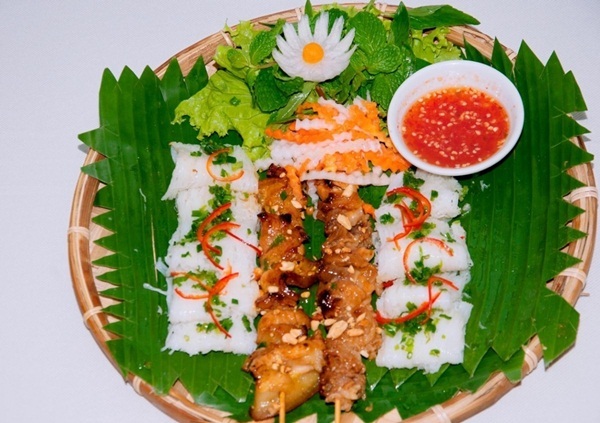 For all foodies coming to Mekong River, Hoi cake has been a dreamy food. Made from rice flour, this cake which is white in color is served with fresh vegetables, baked rolls and special sweet sour fish sauce. Peanut sauce can be used to create another unique taste for the food instead of fish sauce. 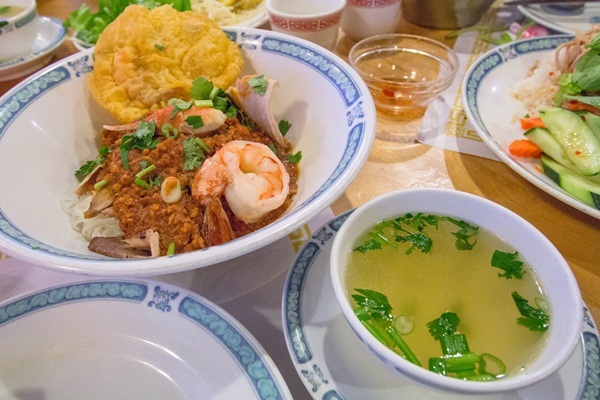 Do not miss out the chance to try Hoi cake if you are wondering how good the dish is. Quite dodgy, gray eel-catfish is only living in deep-water level area. Fishing them is rather difficult as they even carved 2-3 meters deep caves for shelters. Fish sauce stew, steam or served with fermented scallion, sour soup and grilled in banana sepal are some of many delicious dishes made from this fish. However, grilling gray eel-catfish in the banana sepal on the charcoal to keep the natural sweetness of fresh water fish is the simplest way to enjoy this fish. Many kinds of vegetables and chili salt are also side dish served with this fish dish. 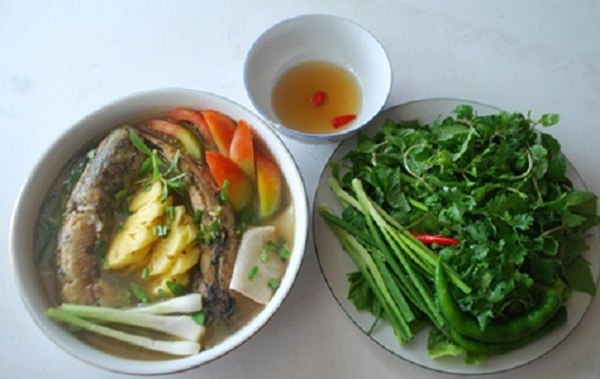 The people in the West of Vietnam also choose gray eel catfish stewed with fish sauce as their daily dish. 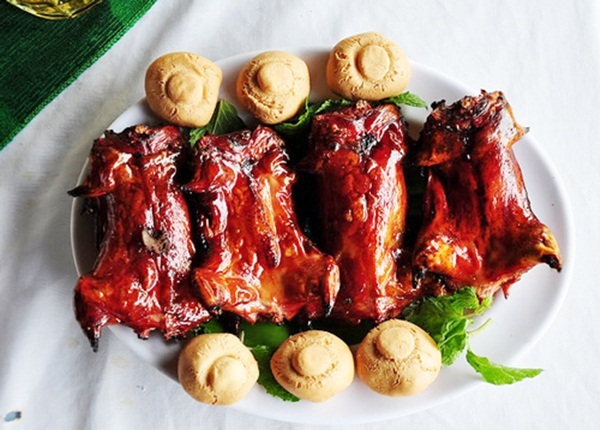 Before being cooked on low heat to make the fish absorbed completely, it is rinsed thoroughly, marinated in delicious fish sauce, chili, pepper and sugar.